The inscription `work` is written by metal anchor bolts, screws, svermami, wrenches. 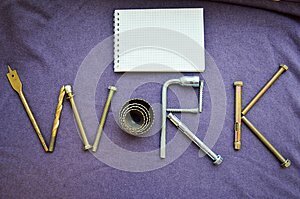 `work` made up of objects. Word work made up by a metalwork tool and notepad.